I have begun collecting eggs and what an exciting time of year. Even though it was -1F last night, I am hopeful that spring will come to Michigan sooner than later. 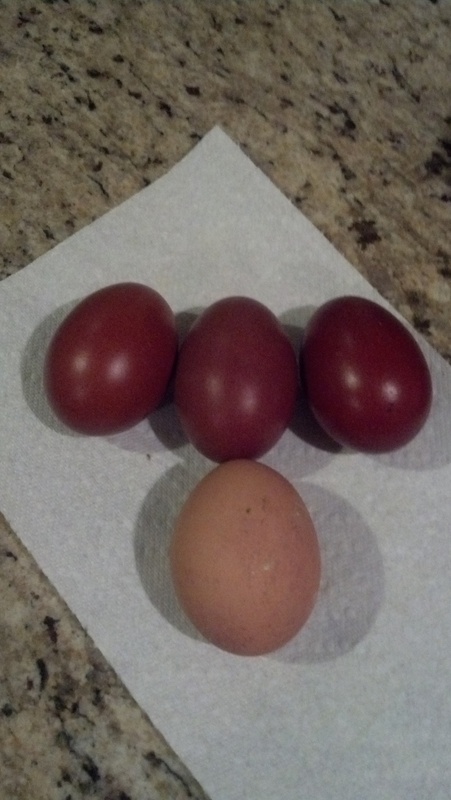 I got three eggs today, not bad considering the frigid cold. They sure are pretty. The light egg is an Isa Brown. The Isa's lay eggs so large they don't even fit in an egg carton.